Lincoln, NE, April 30, 2014 – Matt Talbot Kitchen & Outreach (MTKO) has been selected to receive a $1,000 grant as part of the Restaurant Community Grants program from the Darden Restaurants Foundation, Inc., the charitable arm of Darden Restaurants. The grants program, now in its third year, empowers each restaurant in the Darden family of brands to help award a $1,000 grant to support local community programs. The donation will support Matt Talbot’s Hunger Relief Program which provides two free and nutritious meals on-site 365 days a year and emergency food pantries to homeless and near homeless individuals and families in Lincoln. Volunteer hunger relief teams provide and serve the majority of the meals. In 2013, MTKO provided 107,120 meals (up by 4,000 from the previous year - the largest annual increase Matt Talbot has ever seen) and over a thousand emergency food pantries to people in need. Darden’s Red Lobster, Olive Garden, LongHorn Steakhouse, Bahama Breeze, Seasons 52, The Capital Grille, Eddie V’s and Yard House brands participated in the program. Nonprofits receiving grants support one of Darden’s three key focus areas: education, preservation of natural resources, and hunger relief. “We are grateful for this grant from the Darden Foundation and want to also thank the managers of our local Olive Garden and Red Lobster restaurants who helped make this support possible. This goes a long way toward our mission of alleviating hunger in the community,” said Susanne Blue, Executive Director of Matt Talbot. For more information about the Darden Foundation, please visit www.dardenfoundation.com. 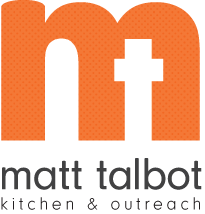 For additional information on Matt Talbot Kitchen & Outreach, please visit www.mtkserves.org.